RID OF ME is a black comedy that follows Meris, an awkward young woman trying too hard to perfect her marriage, amongst a new group of friends. RID OF ME follows Meris' rejection from the cool crowd down a path towards truth and salvation which includes a job at a local candy shop, a group of punk friends, community gardening and a newfound love for Cambodian rock music. 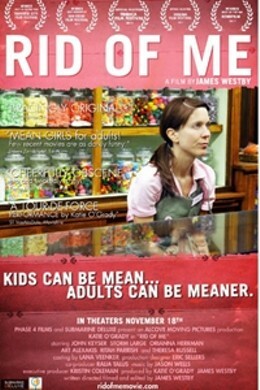 Rid of Me is not showing in any theaters in the area.